Could EVs Help Stabilize Electric Grids? About a billion vehicles are on roads around the world, and while electric cars are in the minority, their piece of the pie continues to grow. As electric cars gain popularity there will be more of them hooked up to the electric grid to take power and charge, with a bigger drain on the system occurring when people return home from work and at night when they recharge the battery. However, is there a way that these vehicles could become an asset to electric companies instead of just another device they have to support? The Nissan Technology Centre in Cranfield, Bedfordshire is working hard to develop a solution where EVs could actually help stabilize an area’s electric grid instead of becoming a potential problem. Called the Vehicle to Grid, or V2G, system, Nissan and its partners are working on making it so cars not only take power from the electric grid but put it back as well. 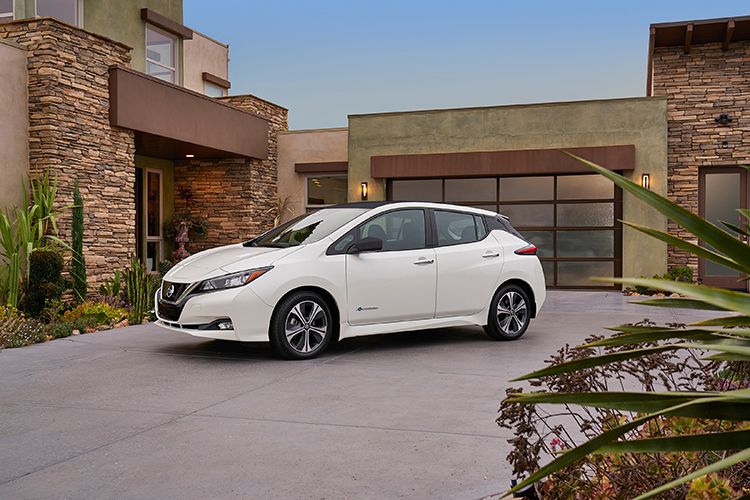 While EVs use power when moving, when they are parked they simply store energy in the batteries. V2G would use software to monitor the grid and EVs connected to it, and when a surge occurs in the grid and more power is needed, some could be taken from parked electric cars. The amounts of power taken would be fairly small for each vehicle, but with enough EVs plugged into the system it could alleviate a lot of stress on a city’s power grid. At this time, Nissan is testing V2G at its Cranfield facility and it sees the system as something a company or home could use to save money on surge electric bills. If V2G is successful, it’s possible that it could be introduced at a larger scale to cities as EVs become more popular.